Just as skin thickness varies, the number and size of hair follicles on the body differs, as do the number and size of sweat and oil glands. 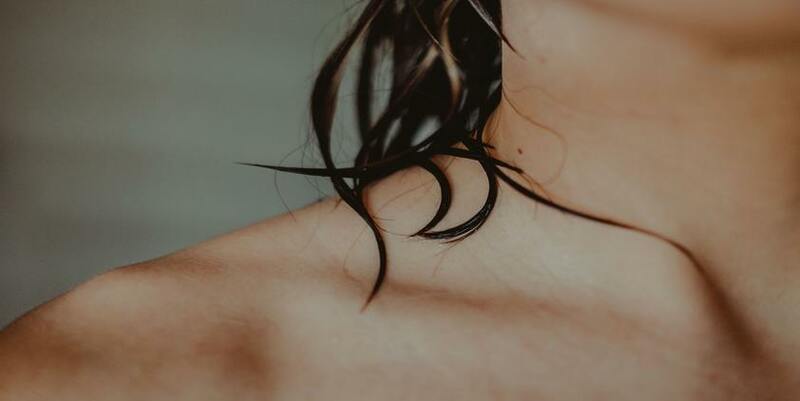 Hair follicles, sweat glands, and oil glands are called the skin appendages and are reservoirs of skin cells and oil that are important in protecting and healing your skin, says Deirdre Hooper, MD, dermatologist at Audubon Dermatology in New Orleans. Areas with more appendage concentration (like the face) heal more quickly and are more tolerant of injury than sites with fewer appendages, like the neck and chest. When you treat the skin with potentially irritating products like retinoids and hydroxy acids, you may need a lower concentration on the body than you do on the face, she says. [source: Dr. Hooper] A standard gentle cleanser will keep skin on the body in good shape, whereas you may want more power with the more visible skin on your face. Make sure your face-cleansing routine takes about a minute to ensure you did it thoroughly, then pat skin dry gently with a clean towel, advises Dr. Wechsler. Limit cleansing to once a day, before you’re going to bed. Over-cleansing on your face and your body can dry out your skin and cause it to produce more oil to compensate, says Dr. Wechsler. The trick is finding a moisturizer that works for the skin type on your face, says Dr. Goldburt. You can use that lotion for the rest of your body if you’d like, because the skin on your face is typically the most sensitive. She says that often there isn’t much, if any, difference between face moisturizers and body moisturizers from a company. “Most of it is just marketing,” she says. There are heavier types of moisturizers that are hard to work into the face that are used for people with very dry skin. Usually pasty, thick and harder to work into your skin, these white creams are best used for skin surfaces that are particularly dry, like elbows, knees, and hands. It’s unlikely you’re going to want to use those thick white creams on your face, she says. Dr. Goldburt says she uses Vaseline, Aquaphor or extra virgin olive oil on her face, but she also suggests pricier argan oil. As for moisturizing the skin on your body, it depends on how dry your skin is. “I like to use Eucerin Anti-Itch Cream on my body. But, ultimately, it doesn’t matter too much if you’re using your face lotion on your body,” she says. “You can put fragrance lotion on the body, but I wouldn’t recommend putting it on your face, especially the eyelids, as they are very sensitive,” Dr. Goldburt says. Using fragrance lotion on the face might cause you to break out even if it didn’t cause that reaction elsewhere on the body. Body breakouts may be more challenging to treat than acne on the face, especially if it occurs in hard-to-reach areas like the back, also known as “bacne.” Some causes could be hanging out in sweaty clothes for too long after a workout, not wearing clothes made of breathable fabrics, or having a bag rubbing up against your shoulders or back. These habits can result in bacteria clogging hair follicles, leading to breakouts. If your back acne or body acne only occurs occasionally, your best solutions might be an over-the-counter body wash that contains benzoyl peroxide or salicylic acid. Use it daily and cleanse gently, as aggressive scrubbing may worsen acne. If your body breakouts don’t clear up after a few weeks, see your dermatologist. They might prescribe stronger washes or topical treatments. It’s also important to use a daily moisturizer and sun protection year-round for any exposed areas to keep skin healthy, glowing and limit sun damage.. Adequate hydration and use of a broad-spectrum sunscreen will help the skin protect itself from free radicals and harmful ultraviolet radiation that cause skin damage, discoloration, premature wrinkles and even skin cancer.” Stop these gross skincare habits during your workout that wreck your skin.